Acme Solar Electric system! Saving you time and money! Acme Energy is proud to offer . With a Grid-Connected Solar System, the electric service panel first used the solar generated electricity to supply the power to your home. 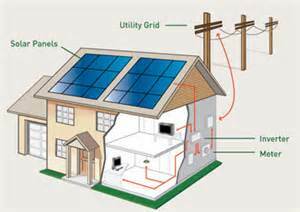 When the Solar System generates more energy than your home consumes, surplus electricity travels through the meter and onto the power grid. The electric meter spins backwards and your electric bill decreases. This is known as “Net Metering”. 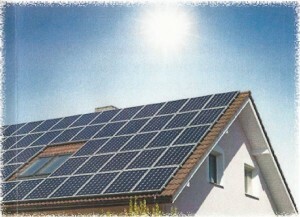 The Solar System turns on automatically in the morning and turns off automatically at night. 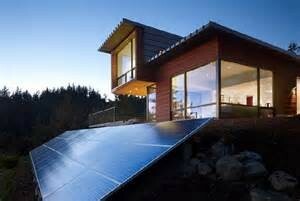 From Sunrise to Sunset the system converts Sunlight to Electricity FREE of charge! 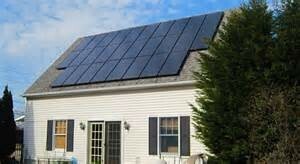 HOW MUCH IS SOLAR WORTH? 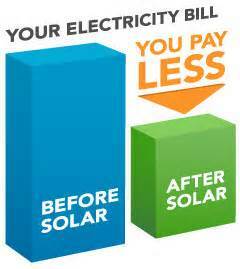 Because, of most of us, NOT using Electricity is Not an Option, a Solar System should be valued like any other amenity in your home. A Solar System has a uniquely quantifiable benefit. 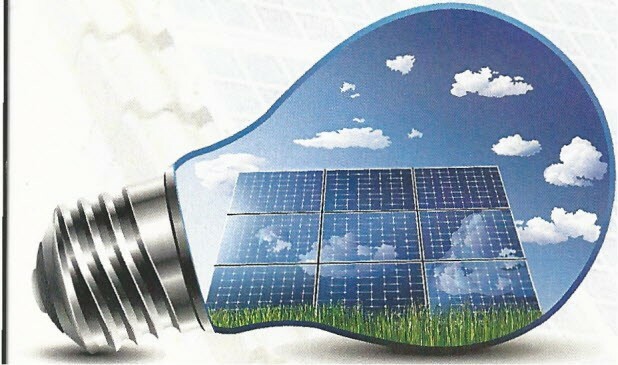 A Solar Electric Sys- tem can significantly reduce your cost of ownership. These savings should be valued with your home. In addition rising utility rates mean Savings, or avoiding costs, that will increase in the future. 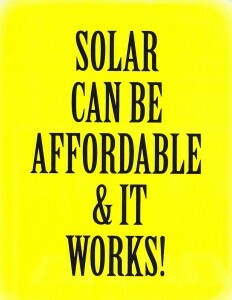 Purchasing a Solar System is an Economic Home Investment. Recent studies have shown that a Solar System increases the Property Value by a Substantial Amount, often recovering 100 of the original cost. As Utility Companies continue to raise their rates, the Solar System can keep your bills low. Nationally utilities have raised their rates at an average of 3-6 per year for the past 30 years. These rates will only continue to increase. With our system you can lock in your Electric costs on what you produce, and purchase less from the utility companies. HOW MUCH WILL A SOLAR SYSTEM PRODUCE? 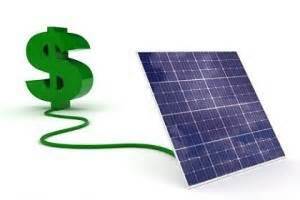 Total with credit = $13,200 or a total of only $1.32 per watt. 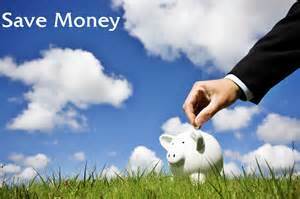 Your payoff would only be 5.9 years then you would save $2210 per year at our current rate. When rates rise your savings per year rises as well. This puts the $2210 per year in YOUR pocket not the Utility Companies. With larger systems and higher usage the payoff is even bet- ter. 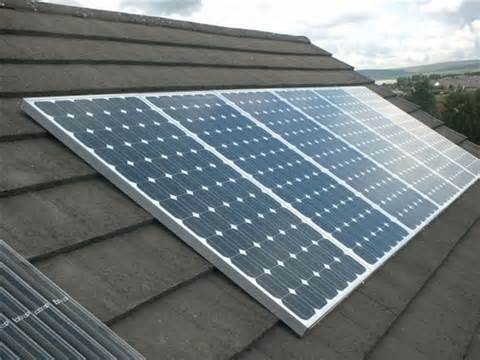 An average Solar System will last 35-40 years, with very little maintenance, making your savings over $75,000 in the life of your system. For commercial users, in most areas, the rate is higher so the savings would be more and payoff time would be sooner. Local and Federal Incentives exist for Renewable Energy, including Solar. The federal tax credit is the most significant, it is 30 through 2016. There are also several states offering tax credits as well as property tax exceptions, meaning the value of the Solar System is subtracted from the total property value for tax purposes. If you do nothing now then how much will you be saving in 6 years? We will accommodate almost any size system that you need from the smallest home system to the very large Commercial and Industrial systems. We also do Utility Grade Systems. Our Systems are complete with Modules, Inverter and Racking for mounting for Asphalt Shingle Roofs as well as Steel, Concrete Tile and Flat Roofs. Our Systems can be Ground Mounted if needed. as well as the main house line wiring.